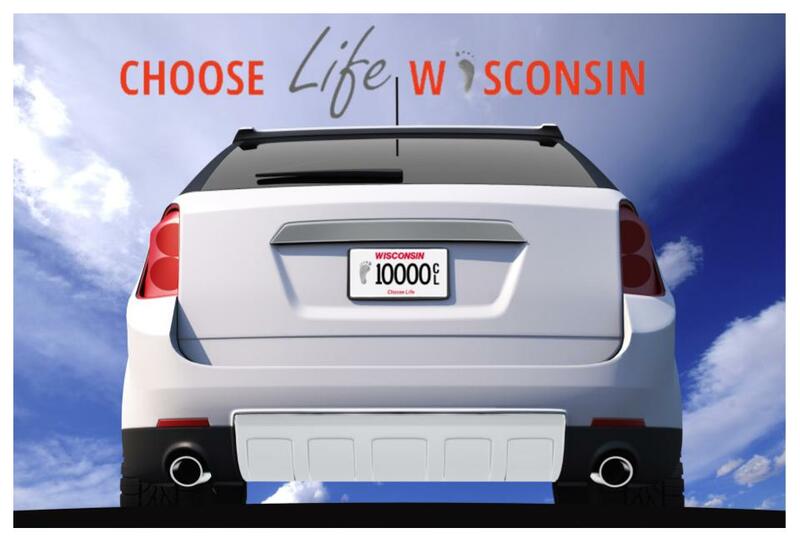 MADISON – Governor Scott Walker signed 20 bills into law today at the Wisconsin State Capitol. 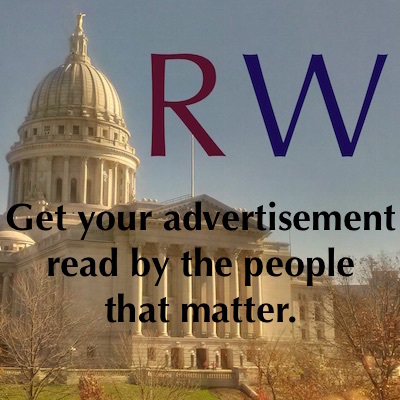 Assembly Bill 170 – allows for advertisements to be placed on bus shelters on the right-of-way along state trunk highways. Authored by Representative Robert Hutton (R-Brookfield) and Senator Chris Kapenga (R-Delafield), the bill passed the Assembly on a voice vote and was concurred by the Senate on a voice vote. It is Act 37. Senate Bill 180 – modifies Wisconsin statute so the Great Lakes Council diversion area becomes the water supply service area for the public water supply system in the City of Waukesha. This change provides consistency by specifying the diversion area established by the Great Lakes Council is the water supply area for that public water supply system, ensuring a water supply service area is consistent with an applicable diversion area and diversion approval issued by the Great Lakes Council. 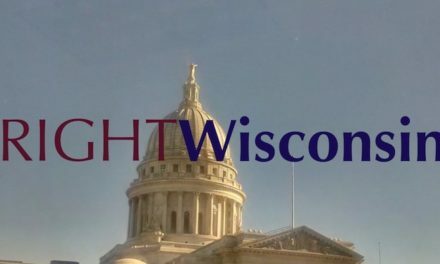 Authored by Senator Chris Kapenga (R-Delafield), Representative Scott Allen (R-Waukesha), and Representative Adam Neylon (R-Pewaukee), the bill passed the Senate on a voice vote and was concurred by the Assembly on a voice vote. It is Act 38. Senate Bill 100 – specifies that scope statements expire 30 months after being published in the Administrative Registrar. 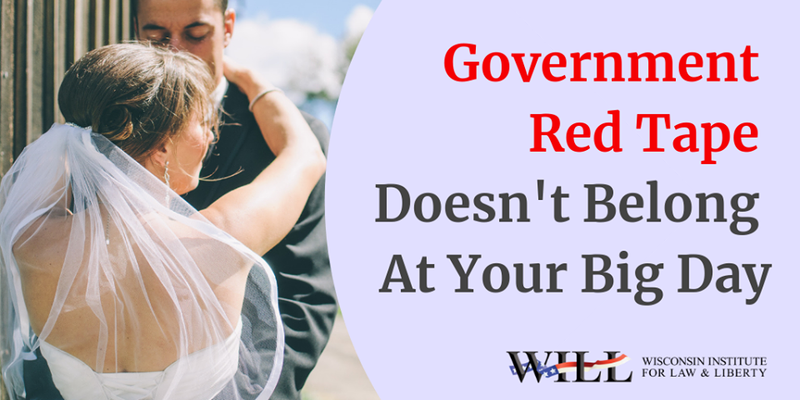 Under current law, scope statements do not expire. 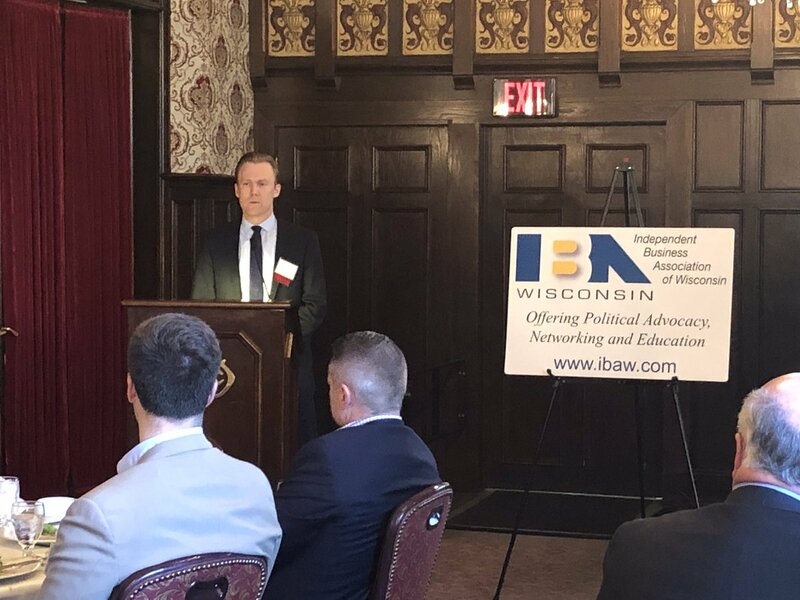 Authored by Senator Steven Nass (R-Whitewater) and Representative Adam Neylon (R-Pewaukee), the bill passed the Senate with a vote of 31-2 and was concurred by the Assembly on a voice vote. It is Act 39. Senate Bill 9 – eliminates the option of immediate trials in cases of traffic violations except in cases of nonmoving traffic violations. It additionally repeals the requirement that a court verbally inform a defendant of his or her right to request a continuance of court proceedings. Authored by Senator Van Wanggaard (R-Racine) and Representative Jeremy Thiesfeldt (R-Fond du Lac), the bill passed the Senate on a voice vote and was concurred by the Assembly on a voice vote. It is Act 40. Senate Bill 68 – sets a time limit on feeding bans for deer. Currently, the Department of Natural Resources bans feeding in any county or adjacent county where a deer with Chronic Wasting Disease (CWD) was found. The bill provides a three-year time limit on the feeding ban if no new deer are found to have CWD in the same county and a two-year ban on adjacent counties. Authored by Senator Terry Moulton (R-Chippewa Falls) and Representative Adam Jarchow (R-Balsam Lake), the bill passed the Senate with a vote of 20-13 and was concurred by the Assembly with a vote of 60-37. It is Act 41. Senate Bill 172 – allows a pharmacy student to administer a vaccine to a person who is at least six years old under the direct supervision of a pharmacist. Authored by Senator Patrick Testin (R-Stevens Point) and Representative Mike Rohrkaste (R-Neenah), the bill passed the Senate on a voice vote and was concurred by the Assembly on a voice vote. It is Act 42. Senate Bill 178 – grandfathers certain existing fences into Managed Forest Law (MFL). 2015 Act 358 clarified that fences are a form of improvement not allowed on MFL properties. This bill allows three existing nonprofit beagle clubs who are enrolled in the MFL program to renew their leases. Authored by Senator Patrick Testin (R-Stevens Point) and Representative Scott Krug (R-Nekoosa), the bill passed the Senate on a voice vote and was concurred by the Assembly on a voice vote. It is Act 43. Senate Bill 257 – eliminates the minimum age for acquisition of bear hunting preference points. This bill brings bears in line with other species and allows children to begin earning points from birth so they have a chance at winning a lottery for a bear tag. Authored by Senator Patrick Testin (R-Stevens Point) and Representative Adam Jarchow (R-Balsam Lake), the bill passed the Senate on a voice vote and was concurred by the Assembly on a voice vote. It is Act 44. Senate Bill 20 – requires that the treatment of late blight of potatoes, when ordered by the Department of Trade and Consumer Protection (DATCP), must be completed within 24 hours of the order’s issuance, and that the destruction of the plants due to late blight of potatoes, when ordered by DATCP, must be completed within 72 hours of the order’s issuance. Authored by Senator Patrick Testin (R-Stevens Point) and Representative John Spiros (R-Marshfield), the bill passed the Senate on a voice vote and was concurred by the Assembly on a voice vote. It is Act 45. Senate Bill 23 – requires seed potato growers planting five or more acres in a calendar year to use certified seed potatoes from the University of Wisconsin-Madison or from an equivalent program in another state. Authored by Senator Jerry Petrowski (R-Marathon) and Representative John Spiros (R-Marshfield), the bill passed the Senate on a voice vote and was concurred by the Assembly on a voice vote. It is Act 46. Senate Bill 35 – adds juvenile correctional officers to the list of mandated reporters of suspected child abuse and neglect. Authored by Senator LaTonya Johnson (D-Milwaukee) and Representative Joel Kleefisch (R-Oconomowoc), the bill passed the Senate on a voice vote and was concurred by the Assembly on a voice vote. It is Act 47. Senate Bill 79 – allows a county clerk or clerk of the court who processes passport applications to copy a birth certificate for submission with a passport application, if the copy is marked “FOR PASSPORT USE ONLY.” Authored by Senator Devin LeMahieu (R-Oostburg) and Representative Treig Pronschinske (R-Mondovi), the bill passed the Senate on a voice vote and was concurred by the Assembly on a voice vote. It is Act 48. 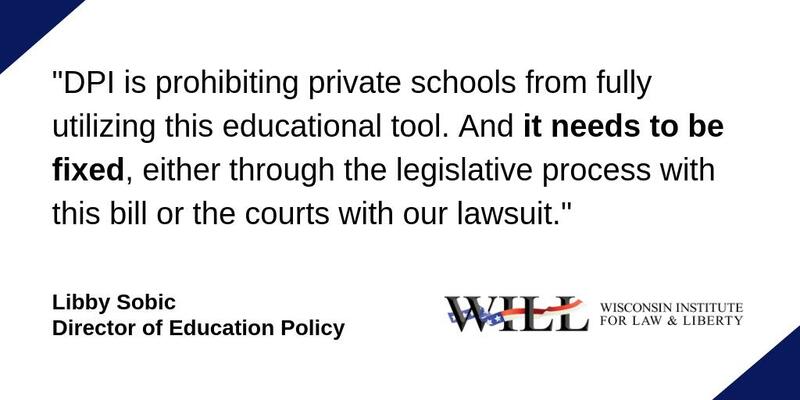 Senate Bill 134 – eliminates a Department of Transportation provision that prohibits the purchase and use of school buses that have been used in another state for longer than five years. Authored by Senator Devin LeMahieu (R-Oostburg) and Representative Cody Horlacher (R-Mukwonago), the bill passed the Senate on a voice vote and was concurred by the Assembly on a voice vote. It is Act 49. Senate Bill 94 – modifies how the mayor of a city may notify members of the city council of a special meeting. Under current law, a written notice must be personally delivered to a member or delivered to a member’s home. This bill allows the mayor to provide notice to each member of a special meeting in a manner likely to give each member at least six hours before the meeting. Authored by Senator Devin LeMahieu (R-Oostburg) and Representative Paul Tittle (R-Manitowoc), the bill passed the Senate on a voice vote and was concurred by the Assembly on a voice vote. It is Act 50. Senate Bill 122 – allows cities and villages to acquire insurance policies to cover certain public officials instead of obtaining a bond. Authored by Senator Duey Stroebel (R-Saukville) and Representative Robert Brooks (R-Saukville), the bill passed the Senate on a voice vote and was concurred by the Assembly on a voice vote. It is Act 51. Senate Bill 123 – requires a municipal treasurer to execute and deliver to the county treasurer a surety bond for no less than the amount of state and county taxes apportioned, unless the municipality enacts an ordinance obligating the payment of state and county property taxes. This bill is designed to remedy outdated language and ensures property taxes are properly distributed to local taxing entities. Authored by Senator Duey Stroebel (R-Saukville) and Representative Robert Brooks (R-Saukville), the bill passed the Senate with a vote of 33-0 and was concurred by the Assembly on a voice vote. It is Act 52. Senate Bill 144 – allows waste heat recovery to be added to the list of renewable resources manufacturers can use to satisfy the state’s Renewable Portfolio Standard. Authored by Senator Roger Roth (R-Appleton) and Representative Robert Brooks (R-Saukville), the bill passed the Senate with a vote of 20-13 and was concurred by the Assembly with a vote of 62-35. It is Act 53. Senate Bill 133 – creates specific penalties for the crime of credit card skimming and provides immunity for gas station owners if their machines are compromised by credit card scanners or re-encoders. Authored by Senator Robert Cowles (R-Green Bay) and Representative Robert Summerfield (R-Bloomer), the bill passed the Senate with a vote of 33-0 and was concurred by the Assembly on a voice vote. It is Act 54. Senate Bill 90 – provides a narrow exception to current law for anyone who removes or alters a vehicle or vehicle part identification number when repairing a vehicle or vehicle part if the removal and replacement is reasonably necessary for the repair. Authored by Senator Robert Cowles (R-Green Bay) and Representative David Steffen (R-Green Bay), the bill passed the Senate on a voice vote and was concurred by the Assembly on a voice vote. It is Act 55. Senate Bill 276 – requires the Wisconsin Department of Natural Resources to sell White Mound County Park back to Sauk County for $1, exempting the sale from the Natural Resources Board approval process, and requiring the transfer be accompanied by a deed restriction that the property must be used by Sauk County for recreational purposes or else revert back to the State of Wisconsin. Authored by Senator Howard Marklein (R-Monroe) and Representative Todd Novak (R-Dodgeville), the bill passed the Senate on a voice vote and was concurred by the Assembly on a voice vote. It is Act 56.